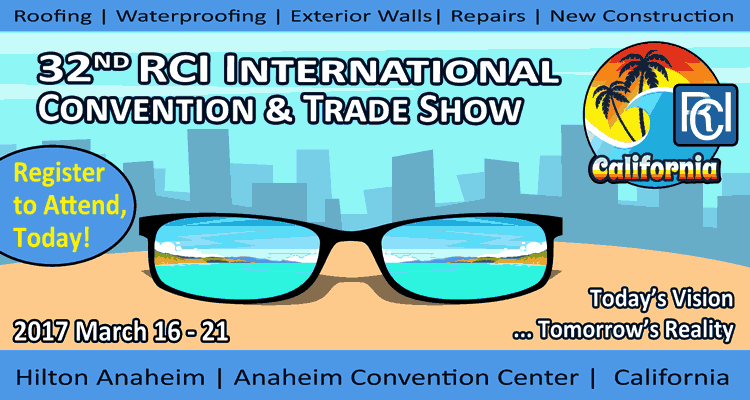 The 32nd annual RCI International Convention and Trade Show will take place March 16–21, 2017 at the Anaheim Convention Center in Anaheim, California. RCI, Inc. is an international nonprofit association of professionals who specialize in roofing, waterproofing and exterior wall specification and design. RCI members from all across North America attend this event, and the international presence grows each year. The trade show runs from Saturday, March 18–19. 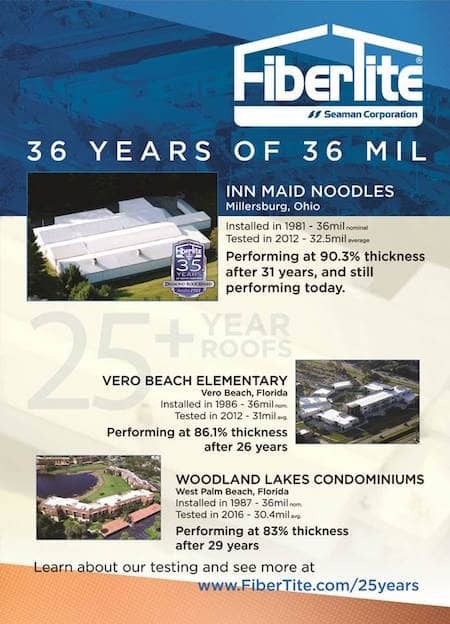 FiberTite will be in booth #521 showcasing our 36 mil membrane that’s built to last for more than 36 years. Stop by and learn more about how FiberTite membranes resist punctures, tears, UV rays and chemicals, and about how our proprietary, proven formula— that uses Elvaloy® ketone ethylene ester (KEE)—is unmatched in the industry. In addition to the trade show exhibition, there will be a variety of other events.The grand opening celebration, on Saturday March 18 from 1:30–3:15 p.m., will feature a keynote speech from basketball legend Bill Walton. Walton received many honors during his collegiate and professional basketball careers, and has written an inspiring memoir recounting his devastating injuries and amazing recoveries. This annual event is all about sharing ideas and information via 25 hours of educational seminars and live product demos. Read more about the educational credits available at the show. Also, learn more about the convention and register to attend today. Have you attended the RCI International Convention and Trade Show before? Tell us about your experience in the comments!